Rozgunn, above, stopped to chat during our latest Bike Spotting session. 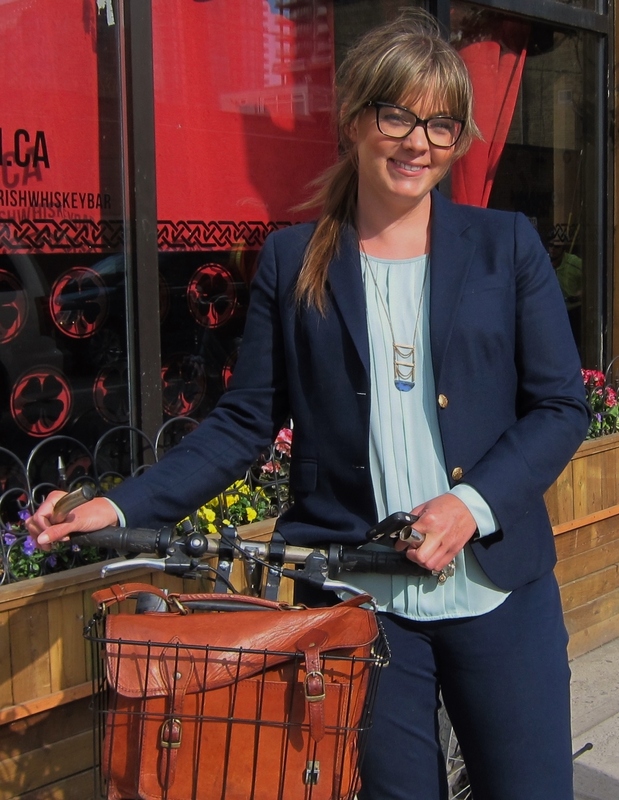 She suggests the city extend protected bike lanes to the Danforth. Photos by Chelsea La Vecchia. Interviews by Tammy Thorne. It's that time of year again! 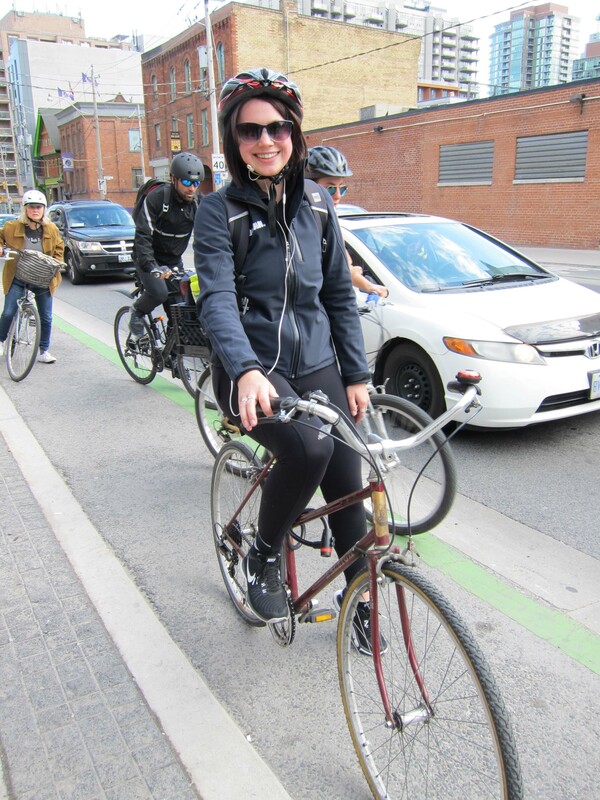 We went Bike Spotting at Sherbourne and Queen on one of Toronto's only buffered - or partially protected - bike lanes. We asked: Did you know that the city has plans for more protected bike lanes like this one? I did hear that, and it is amazing. I'm so happy. They should do way more. How about the Danforth? They should put bike lanes there. I think so, yes. 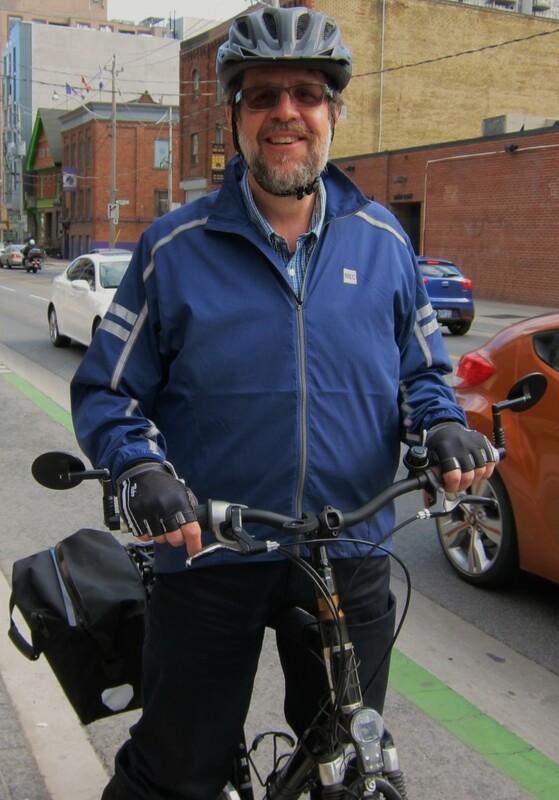 I ride Sherbourne every day. In my opinion, downtown should only be public transit and bikes. Bloor has been approved for test, FINALLY, and now there's the 10-year-plan which is another version of the 2001 10-year-plan that never got built. No, I didn't hear about that. I've been out of the country for a few months. It's a shame that [Bloor] is the only one they are building this year. I heard about the one coming to Bloor. I don't go too far west though: I take Danforth over. I think Danforth should have one. 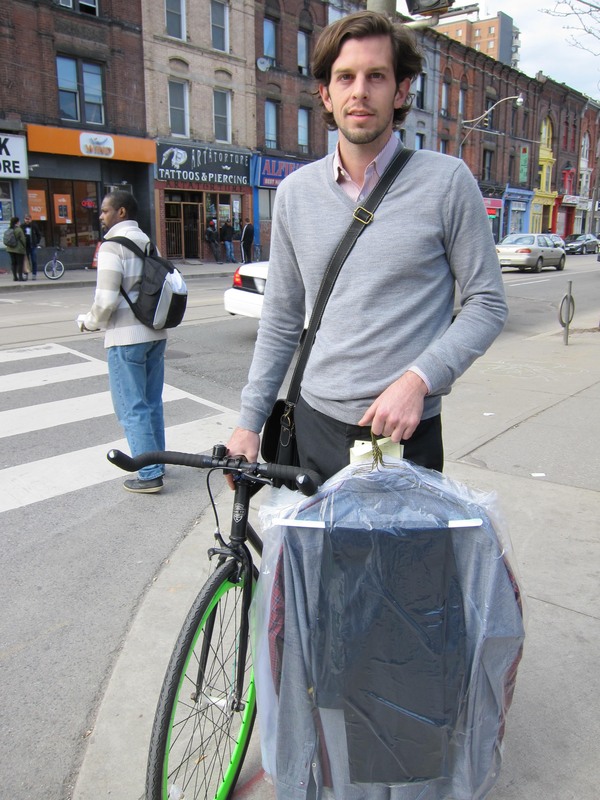 Many of the people we spoke to thought that it was high time for Danforth to have a separated bike lane as well. Council, are you listening? Time to get the east side moving. dandyhorse is grateful to each and every cyclist who takes a moment to share their thoughts with us. If you'd like to be a part of our Bike Spotting series, email: Bikespotting@dandyhorsemagazine.com. 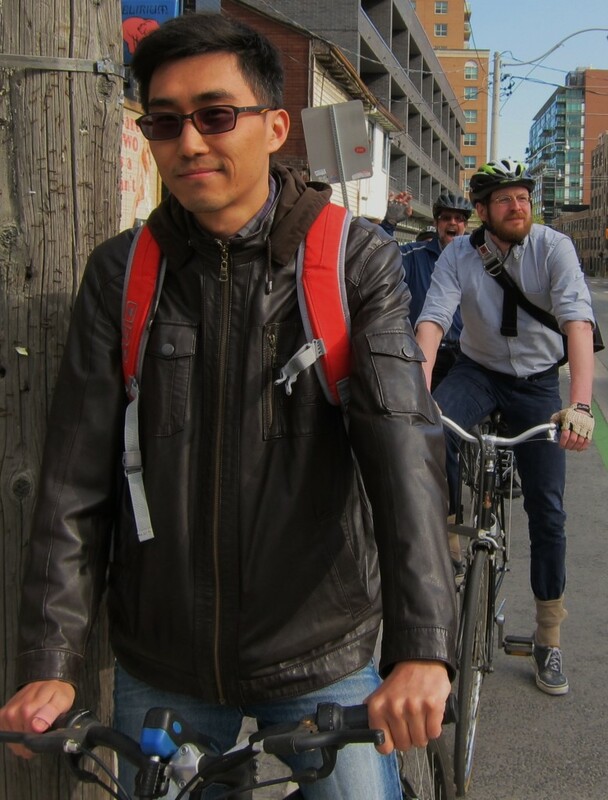 Bike Spotting: Do you want more protected bike lanes?